Provide comfort for the family of Caroline Berney with a meaningful gesture of sympathy. 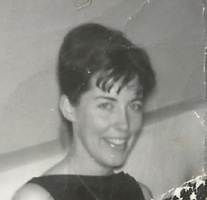 Carol was born July 14, 1943 and left us in her 76th year, on the morning of April 4, 2019 after being surrounded by her “circle of love”, her precious children and grandchildren. Lovingly known as Carol, Mum, Ma, Mommy, Grandma, G-Ma, Granny, and Alice, Carol was truly ‘’one of a kind’’. Anyone who crossed her path in life knows that she embraced each soul she met without judgement or prejudice. 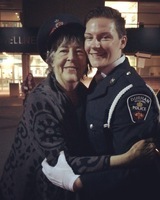 She was her grandchildren’s biggest fan, her children’s rock and was extremely proud of each one of them. She was the one they leaned on when they needed advice, her opinion, to share their accomplishments and challenges in life, or to simply vent about whatever was on their minds. Carol had a special warmth, a sort of magnetism, about her. You went to her; you were drawn to her. She loved supporting the underdog. She taught her “circle of love” that it’s not what you have, it’s about who you are that counts. Carol never turned anyone down; she always had time for everyone. She always wanted to know what your next adventure was! She gave you “her all” whenever you required it, and she especially enjoyed a heated exchange, even when the topic of conversation was loud and a matter of opinion. That was a “great chat” to Carol! Carol loved her fur babies as well and tirelessly took on the challenge of raising a pup or two over the years! An avid and committed sports fan (both professional sports and those of her children and grandchildren), Carol always had the latest stats to share for her beloved Leafs and Jays! She was devastated when her favourite player, Kevin Pillar, was traded recently, and she was a huge Mitch Marner fan! If she couldn’t physically make it to a minor hockey game, you always knew she was somehow tuning in at home through radio, TV or the computer. Visitors couldn’t leave until they had analyzed every play and every stat of the latest games together. Carol was an extremely intelligent woman with a very saucy wit and a laugh that went beyond contagious! Granny was the keeper of the “white marble stories” that raised her grandchildren. She didn’t need a bedtime story book to read to the kids; she created her own wonderful, make-believe stories that spoke about learning, reading, and being safe and careful through a little white marble that watched over and guided children. These precious stories will never be forgotten. Alice, the Brady Bunch housekeeper, as she was lovingly referred to, was always there to share a good recipe, cook many a good meal, bake amazing desserts, and make sure your belly was full! There seemed to be an endless supply of banana bread, and she loved the challenge of finding a good low carb or dairy-free recipe to prepare for those who needed it. She was the most frugal grocery shopper and had a knack for stretching a dollar to its limit. If there was a good sale, she shared it with you. Carol was the “Granny Warning System”. She could always tell you when a storm was coming through her arthritic aches and pains. Over the years, winters became very tough on her health and she got out less and less when weather wasn’t optimal. Instead, she would spend her time enjoying the challenge of the New York Times and Saturday Star cross word puzzles or gambling with her scratch tickets. When the weather was optimal, Carol could be found gambling at the local casino and more often that not, came home a winner! As her children have recently discovered, there was a very vulnerable side to Carol as well, a tender, secretive, and private side. She wasn’t always forthcoming about her younger years, her upbringing, her responsibilities, her voyage to Canada, and her history. Perhaps it was painful, or perhaps her ever optimistic mind chose not to dwell on it. Carol was born in Grinstead, England. Her hometown was bombed just days before she was born. She would have spent the first few days of her life in rubble. In the dead of winter in 1948, she arrived in Canada aboard the S.S. Aquitania from Southampton, England and landed in Halifax, Nova Scotia. She was 4 years old and was accompanied by her mother, Sonia, 23 years old, her father, Oscar, 32, her sister, Susan, 2, and her brother, Barrie, 1. Her brother Peter was born after their arrival in Canada. Their destination was Carol’s Aunt in Hamilton, Ontario. Carol’s grandmother, Mrs. P. Noel, was her nearest relative outside Canada and resided in Sussex, England. Carol’s mother left Canada to return to England, and at age 12, Carol assumed the role of “woman of the house”. She was enrolled in cleaning classes at the YMCA by her father and upheld the role of “mother hen” of the household by taking care of her younger siblings and her father. In her teenage years, Carol, like every other female teenager at the time, loved Elvis Presley. His pictures adorned her bedroom walls and she loved to jive to his music. Carol was a beauty, a real looker. She was stunning and was often approached on the street to become a model. Carol had other ideas, though, and her interest in sports and playing tennis prevailed. 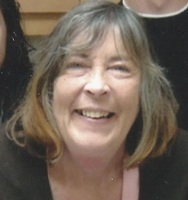 Carol attended Parkdale Public, Ballard Public and Delta Secondary Schools in Hamilton. Carol was introduced to Joseph (Joe) Berney in 1958. Joe was living in Hamilton that summer and worked on an apartment construction site with Pat Quinn. Carol had been dating Pat but was introduced to Joe by his mother when his family moved around the corner from Carol. They were married in 1961 and raised their 4 children, Mark, Paul, Joseph (Joe) and Jennifer together. They resided in Ajax, Kirby, and Newcastle. They separated in 1983 and subsequently divorced. Carol packed a lot into her career, from being an admitting nurse at Ajax-Pickering Hospital, to waitressing at Noone’s in Orono and Annie’s in Newcastle, to being a long-standing custodial staff member with Kawartha Pine Ridge District School Board, to being an integral member of the Liberal Party and volunteering countless hours to “make a difference” within her community, province and country. She caught the political bug in the 70’s and ran for a Liberal Party nomination in 1985. She was a fixture at Provincial Councils, AGM’s and election campaigns. Carol was a dedicated, enthusiastic and inspirational Liberal for over 40 years. She was well known for tirelessly fighting for the “little guy”, the “underdog”, for the people many politicians say they will help but never do. She would always dig deep to find answers so she could get back to them. Carol had an insatiable thirst for knowledge and a vast understanding of a government’s policies. She was a political mentor and offered sage wisdom and political acumen. She lived to talk politics whether you were a constituent or a Prime Minister! One of Carol’s biggest accomplishments in the political arena was to participate in the 2014 campaign that saw the first Liberal MPP elected to the Legislature representing Durham East since 1928. Along her life’s path, Carol wore many hats: daughter, big sister, girlfriend, wife, mother, aunt and grandmother. Carol was most proud to be a Grandma and she cherished her 9 grandchildren. She loved each and every one unconditionally. Carol would go whenever and wherever her children and grandchildren needed her. She would pack up and go, giving them everything she had, which was essentially her big heart and her abundant love. Carol is now at peace and will continue to uphold the “mother hen” status, watching over us all with a huge smile and her bigger-than-life laugh, all the while enjoying an unlimited supply of Globe and Mails, Toronto Stars, scratch tickets, huge gardens to tend to, Julia Child, Pioneer Woman, Looney Spoons recipes, delicious food, Mentos, Tic Tacs, and a huge inventory of banana bread! Carol is survived by her brother, Peter and his wife, Carol, and her sister, Susan and her husband, John. She will forever be missed by her children, Mark and his wife, Michele, Paul, Joe and his partner, Sandra, and Jennifer, and the apples of her eyes, her grandchildren: Brandon, Mike (Ginny), Cory (Alexis), Megan (Justin), Melissa (Shantel), Kelsie (Jarod), Madison, Matthew and Selena. She will be missed by all her nieces and nephews in Canada and England. Carol left her mark on all her family members who passed before her: Her father, Oscar, her mother, Sonia, her brother, Barrie, and her daughter-in-law, Dianne. She will be fondly remembered by all her friends, colleagues, fellow Liberals, and everyone who came into her life. Oh Julia, we have all been so blessed by having you in our lives. Caroline, Carol, Mum, Ma, Mommy, Grandma, G-Ma, Granny, Alice, we will forever miss you but we are most certainly the richest ones of all, because we have our memories as our treasures! As per Carol’s request a private celebration of life will be held at a later date. 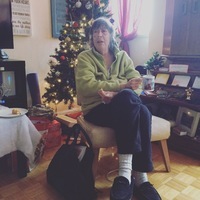 If you wish to make a donation in memory of Carol, support to the Canadian Cancer Society or the Canadian Mental Health Association Durham would be greatly appreciated by her family. 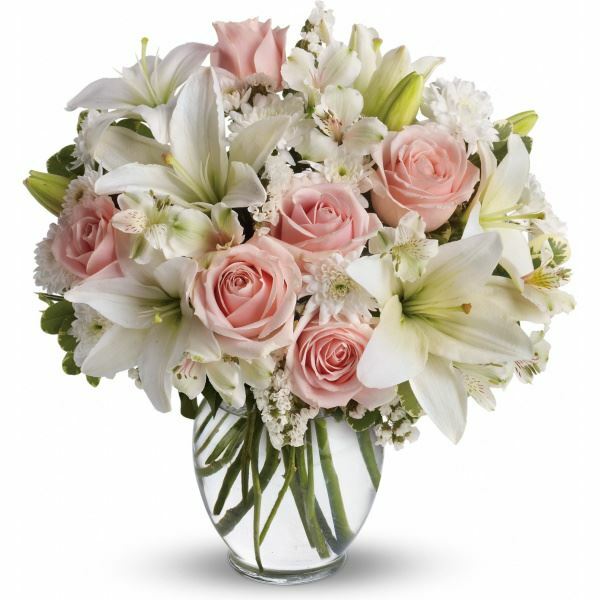 To send flowers in memory of Caroline Noel Berney (Miles), please visit our Heartfelt Sympathies Store. Emma and Chris Anderson sent flowers to the family of Caroline Noel Berney (Miles). We are so sorry for your loss. Thinking of you all during this difficult time. Emma and Chris Anderson purchased flowers for the family of Caroline Berney.